Despite a nationwide outcry during the 2018 election cycle, North Dakota’s discriminatory voter ID law remains on the books. While the cameras have turned their attention elsewhere, the fight to stop this flagrant voter suppression continues in the courts. NOTE TO VOTERS IN NORTH DAKOTA: Native Americans in North Dakota should show up to vote with their identifications. If the poll worker denies them their right to vote because of the residential address requirement, they should demand a set-aside ballot and immediately contact their community leaders for assistance. North Dakota has a long history of discriminating against Native Americans generally and denying Native Americans the right to vote in particular. Leading up to and during the 2018 elections, North Dakota Native voters saw an outpouring of support as they fought to be able to vote under the state’s recently enacted voter ID law. The law, which went into effect as the election was getting underway, required voters to have identification that included a current residential address. This requirement poses a problem unique to Native American voters because the state and counties have failed to provide basic governmental services for individuals living on rural reservations. Specifically, they have neglected to correctly and uniformly assign residential addresses for Native American residents. Many Native Americans who live in North Dakota have no residential address because the government has not assigned them one. Others have been assigned an address, but it was never communicated to them. Road signs are rare in rural areas of reservations, and many roads in North Dakota have been assigned multiple, conflicting names. Homes have been assigned multiple, conflicting numbers. Some homes have been identified as occupying two cities and zip codes. 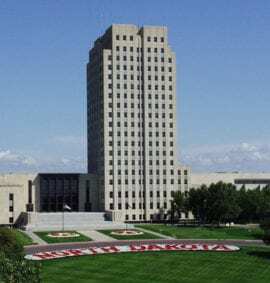 The lack of uniformity in addressing across North Dakota reservations creates a problem that could affect thousands of potential Native American voters. The state claimed that it could fairly administer the voter ID law, but the 2018 election showed otherwise. Voters with IDs listing their current addresses had their absentee ballot applications rejected as having “invalid” addresses. NARF is committed to the long-term fight to protect tribal citizens’ voting rights. It is only with a functioning democracy that we can work towards an equitable society. The Tribes are represented by NARF and co-counsel, Campaign Legal Center and Tim Purdon. However, despite these concerns, Judge Hovland declined to take action in the case with the election less than a week away fearing that any court order at this time would create even more confusion and chaos on the eve of the election. While today’s decision is disappointing, NARF and CLC are considering the available options and will continue working to ensure all natives in North Dakota have proper documentation and the ability to exercise their right to vote. 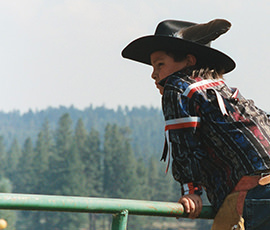 This lawsuit is filed under the name: Spirit Lake Tribe v. Jaeger. Read more about related case Brakebill v. Jaeger, which also was filed in response to North Dakota’s voter ID law.